LAMPS Analytics - Manage Water Systems - HC Information Resources Inc.
Others waste money on unnecessary, temporary, or totally ineffective measures. The robust analytics in LAMPS can expose root problems and best solutions. 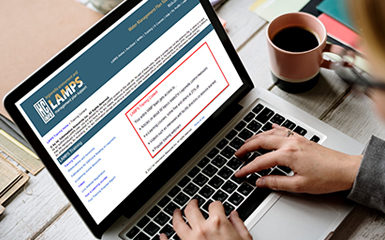 Easily review 20+ data sets for Legionella, disinfectant, and temperature data — in both summary tables and colorful graphs — before making important and potentially costly decisions about building water system management. Look at trends over selected date ranges to check your progress. Check LAMPS articles on Legionella remediation before making major expenditures. 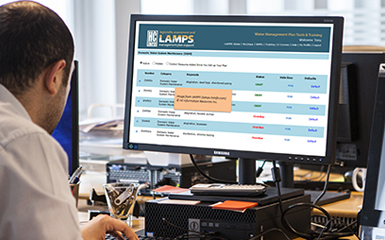 LAMPS Analytics is included in WMPs — or can be purchased separately. We recommend you hire one of our Sampling Partners to set up LAMPS Analytics for your facility. You could set it up on your own, but our experienced partners can save you time. 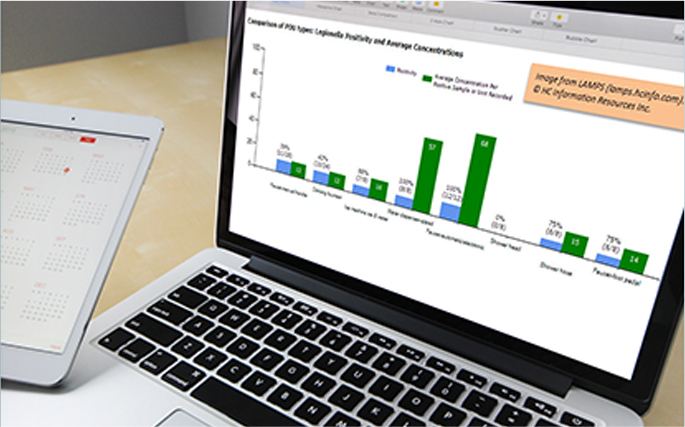 After the initial set-up, you can use LAMPS Analytics on your own, entering data and interpreting results. Data entry in LAMPS is intuitive and quick. Best for: Facilities that need a WMP, companies providing WMP set-up services.